Last night I posted a pic of my dinner (sprinkled with Nutritional Yeast) on Instagram. I promised a blog post on why I heart NY. I’ve been a vegetarian for about 18 years! (and my Dad thought it was a “high school phase”) I have only recently discovered the magic that is Nutritional Yeast (aka, magical flakes that vegans adore). The first time I heard about it I was thinking, “ew, sounds nasty” Sprinkling yeast over food?! Who does that?! Sounds beyond unappetizing. Then I ate the popcorn my friend handed me that was covered in Nutritional Yeast, and when I got home, I did a bit more research. 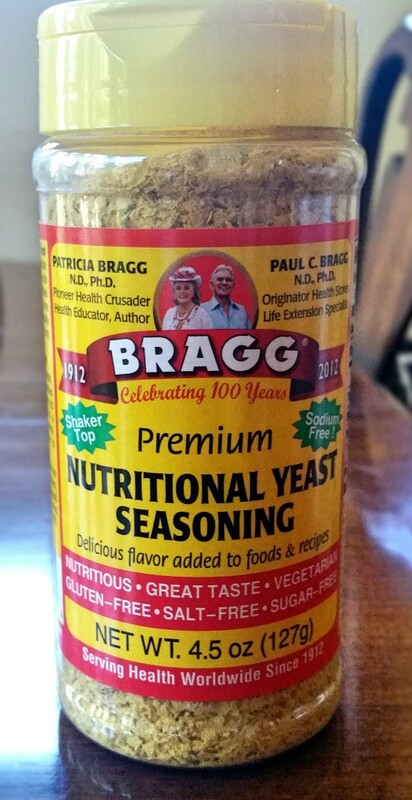 Nutritional yeast is a “seasoning” that looks like yellow flakes, to be honest…I think it looks like fish food! You can find in natural food markets like Sprouts, Trader Joe’s and Whole Foods (I’ve also seen it on the shelves at Ralphs/Kroger grocery store). These yellow flakes are a pure strain of yeast called Saccharomyces cerevisiae. In the same family as edible mushrooms, yeast has been used in food and beverage production for more than 5,000 years. Is Nutritional Yeast “alive” like in baking yeast? No. Nutritional Yeast is an inactive yeast. It does not have fermenting power (like yeast for brewing beer or baking bread). It comes in both powdered and flaked forms, and tastes nutty, slightly cheesy and kind of creamy. Many vegans use it as a cheese flavoring substitute, adding it to gravies, sauces, and mac n’ cheese style dishes. What are health benefits of eating Nutritional Yeast? It is a good source of protein, dietary fiber, vitamins and minerals. Vitamin B-12 is ESSENTIAL for construction and regeneration of red blood cells, food metabolism, and maintaining a healthy nervous system. Many of us Vegetarians and Vegans do not get enough B-12 in our diets because it’s not found naturally in plant foods (only animal foods). Just one Tablespoon of NY provides 40% of the Daily Value (DV) for Vitamin B-12. Additionally, it’s good source of B-Complex vitamins Thiamin (B1) (180% DV per serving), Riboflavin (B2) (160% DV per serving), Niacin (B3) (70% DV per serving), Pyridoxine (B6) (140% DV per serving), Folic Acid (40% DV per serving) and Pantothenic Acid (30% DV per serving). It is also a source for of zinc and selenium. 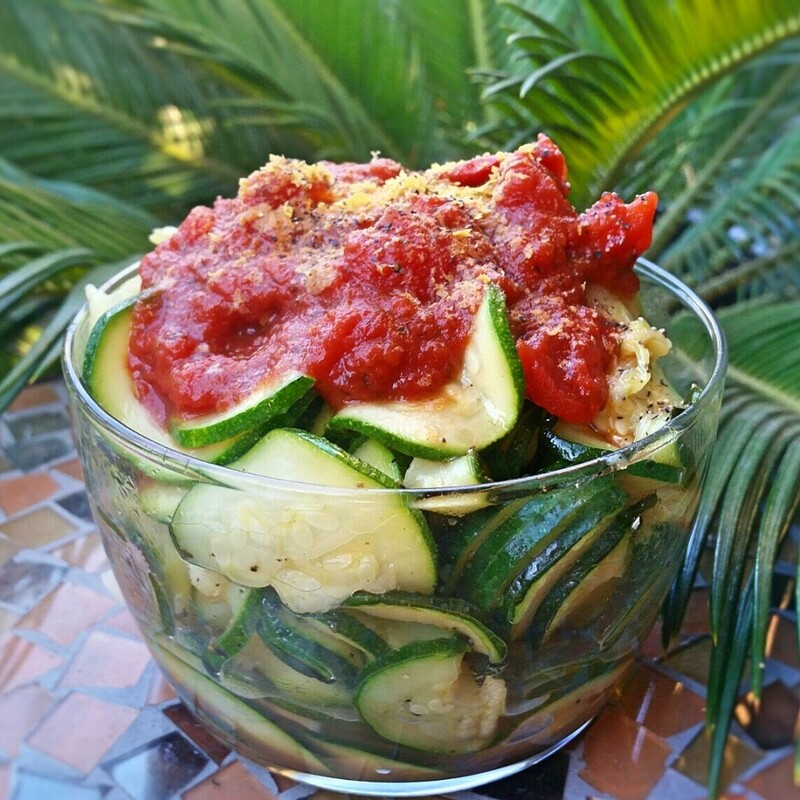 Nutritional yeast is a complete protein! That means that out of the 18 amino acids, it contains the 9 essential amino acids that our bodies cannot produce. What is your fave way to use NY? I’d LOVE to know.